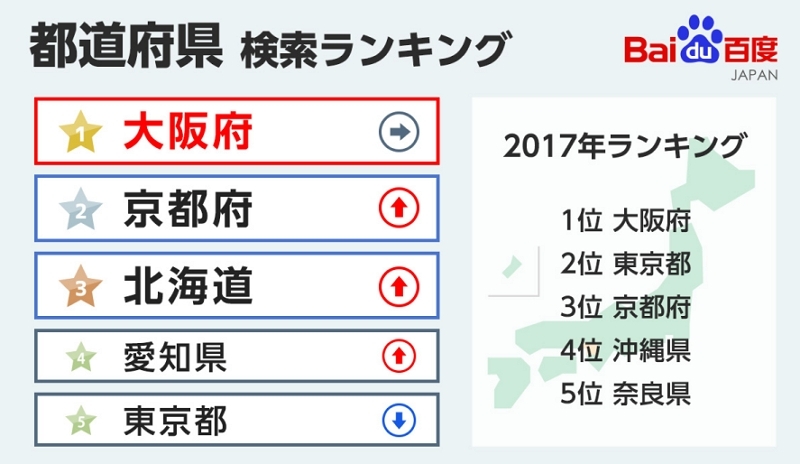 Baidu, the biggest search engine of China, announced that the most-searched prefecture in Japan by Chinese travelers in 2018 was Osaka, followed by Kyoto, Hokkaido, Aichi and Tokyo. Okinawa stepped down from top 5. 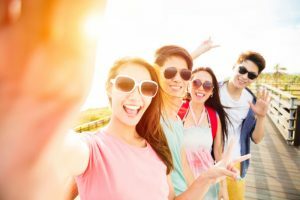 The survey also shows that names of cities or areas, such as Shinsaibashi, Yokosuka or Naha, were searched more frequently than before, which means that Chinese travelers seem to know about Japan more than before. 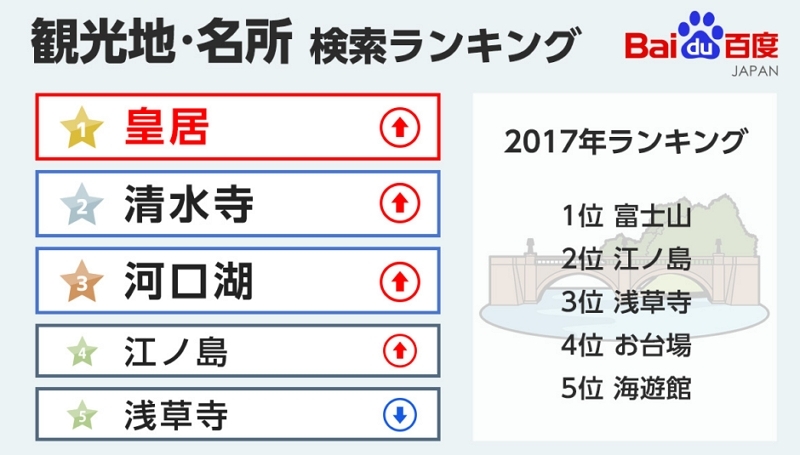 The most-searched sightseeing place was Imperial Palace, followed by Kiyomizudera in Kyoto and Kawaguchiko in Yamanashi. Mt.Fuji, Enoshima, Osaiba and Kaiyukan disappeared from top 5. Regarding foods-related keywords, the top was miso soup, instead of sake last year, followed by fugu (balloon fish), wagyu (Japanese beef), teishoku (set meal), okonomiyaki. Eating fugu has been allowed in China since 2016.